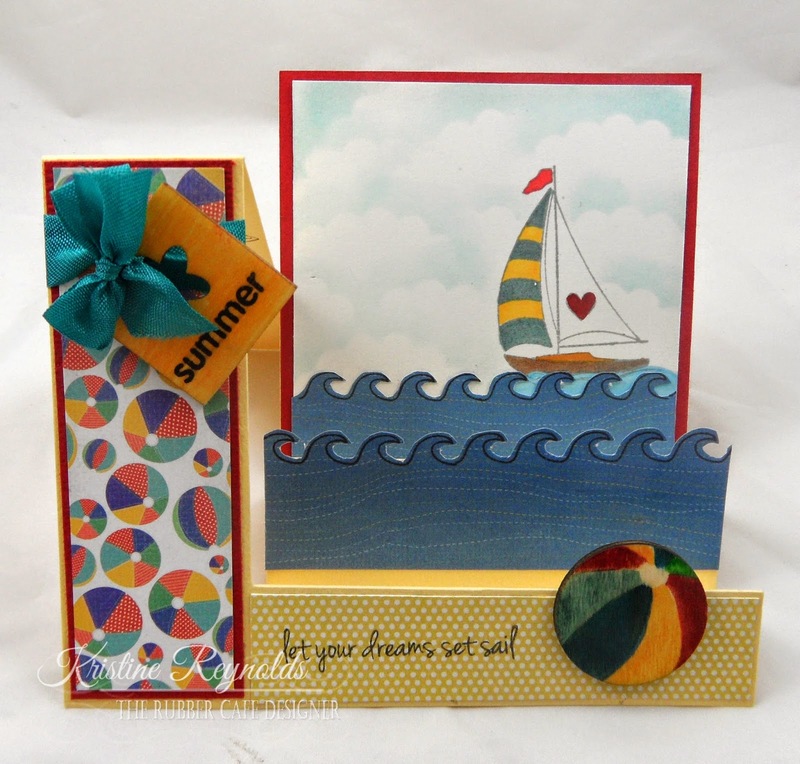 I have another fun card to share today that I made with this months Creative Cafe' Kit from The Rubber Cafe' called A Whole Water Fun and the available add on set, Nautical. This is my Summer Side Step Card! As hot as it's been this week I wish I were sailing out in the water! 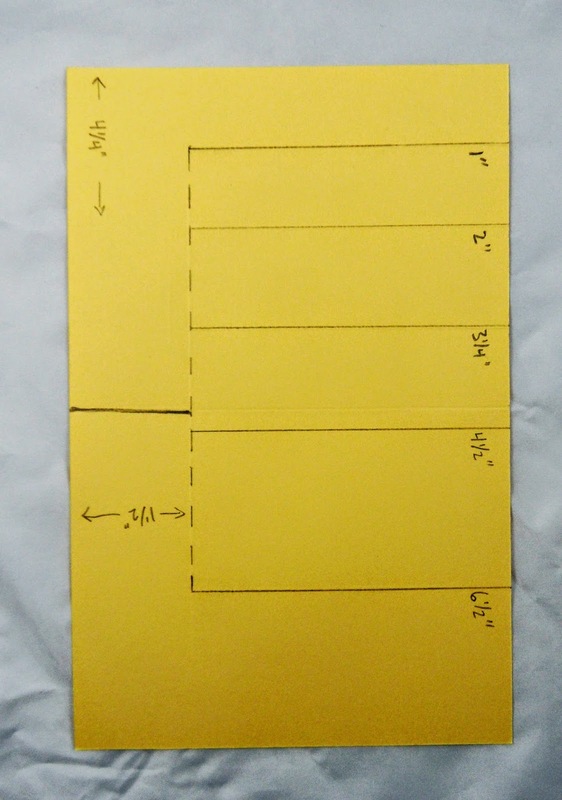 I created my side step card base out of yellow cardstock by folding on the solid lines and cutting on the dotted lines. 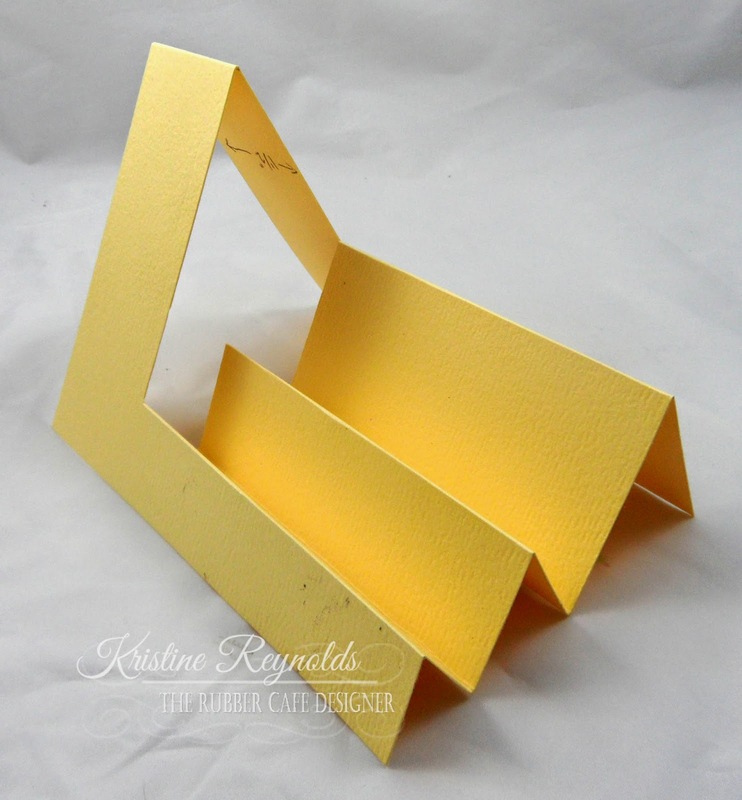 This is how the card base looks when it's folded. 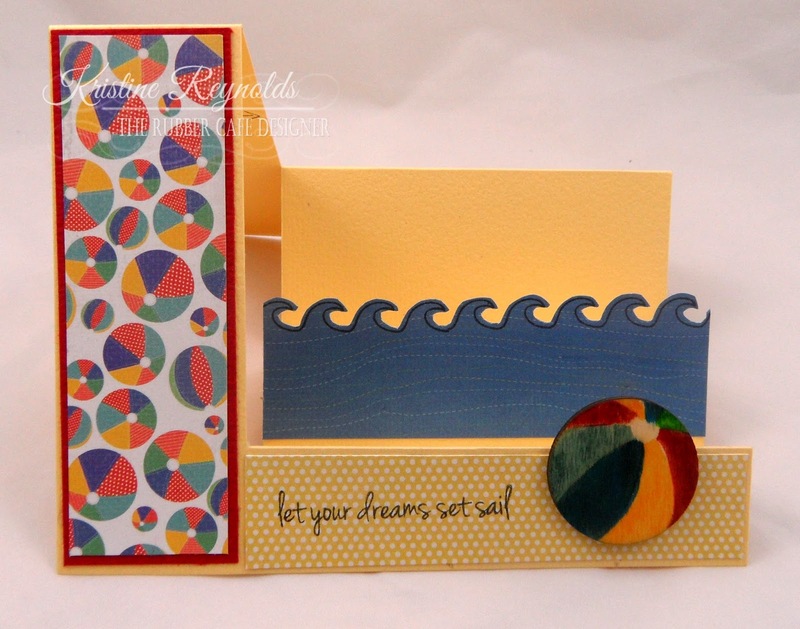 Adhere the beach ball panel to the red panel and then to the left side of the card with Scrap Happy Glue. Adhere the wave panel to the second step. 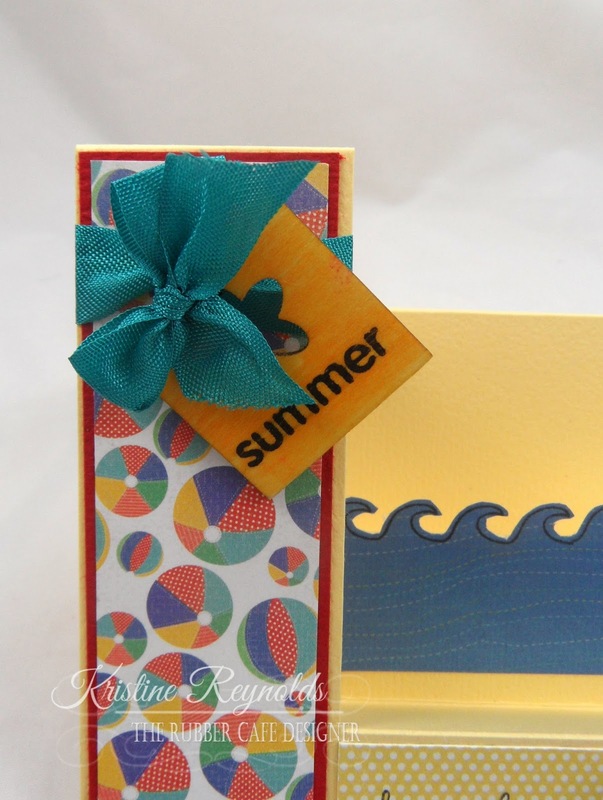 Stamp the sentiment on a yellow patterned paper panel with Memento Tuxedo Black ink and then adhere to front of card with Scrap Happy Glue. 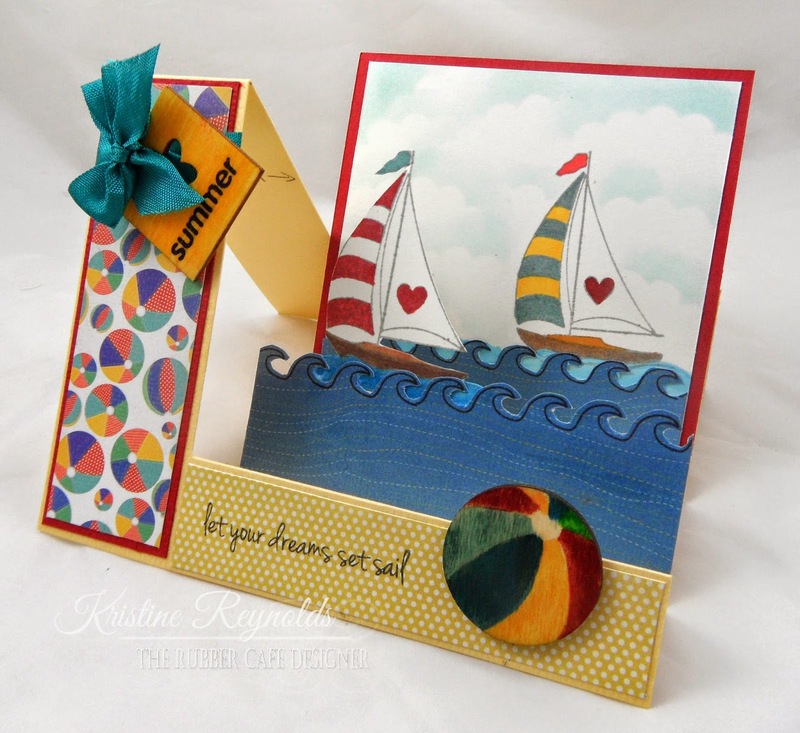 Color the wooden ball with markers and adhere it to the card. 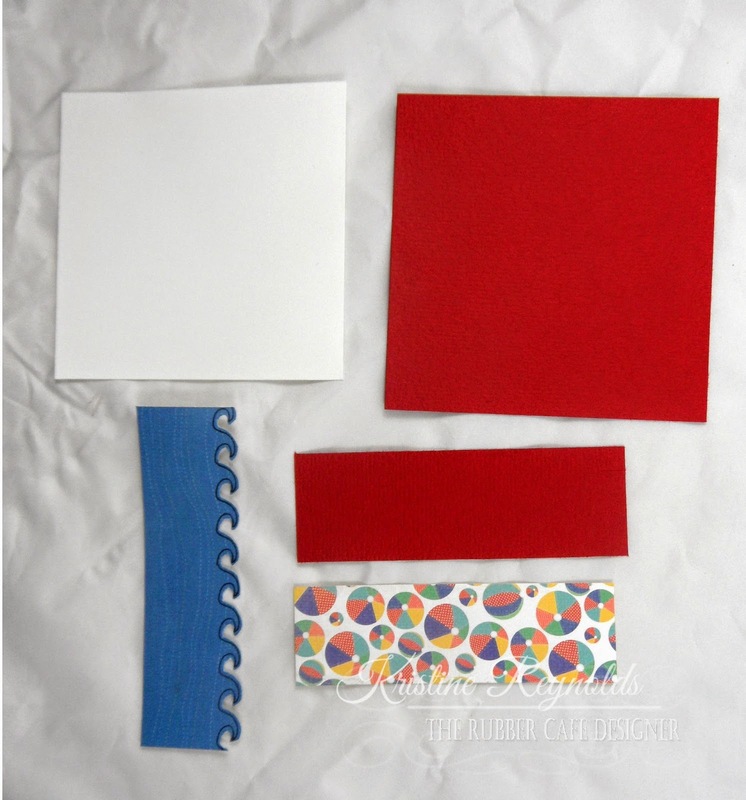 Color the wood square piece with a marker and then tie it on to the card. Create scene on the square panel. Adhere the square panel to the back step. 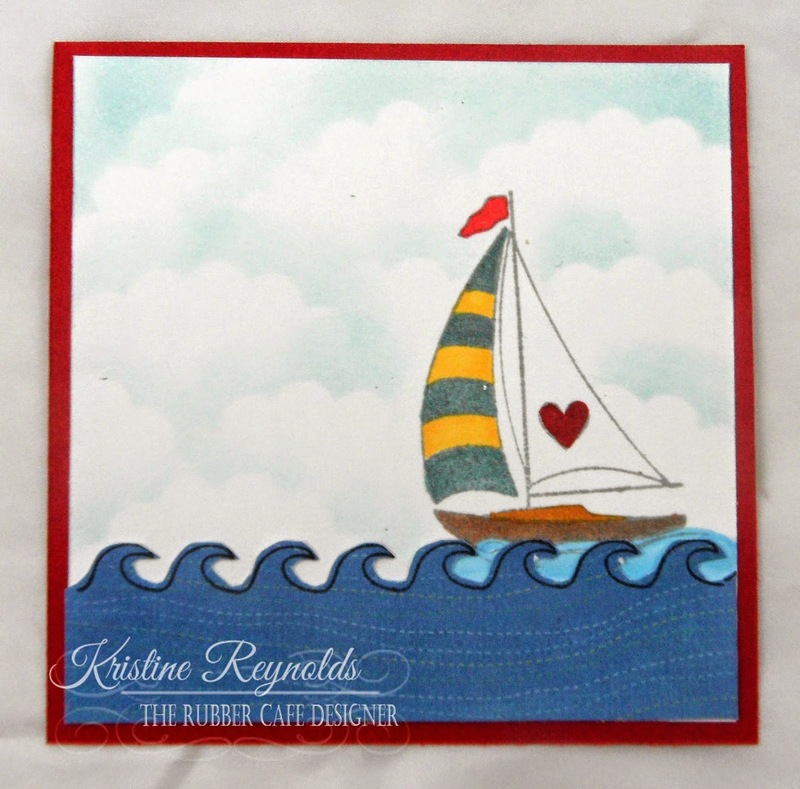 Stamp boat image on a white scrap and cut out close to the outline. Adhere to the second step behind the wave. Here's another look at the completed card. A little more work than the normal card but well worth it in the end! I hope you will give it a try! The design team has many more projects through out the month and I'll have another one next Sunday!